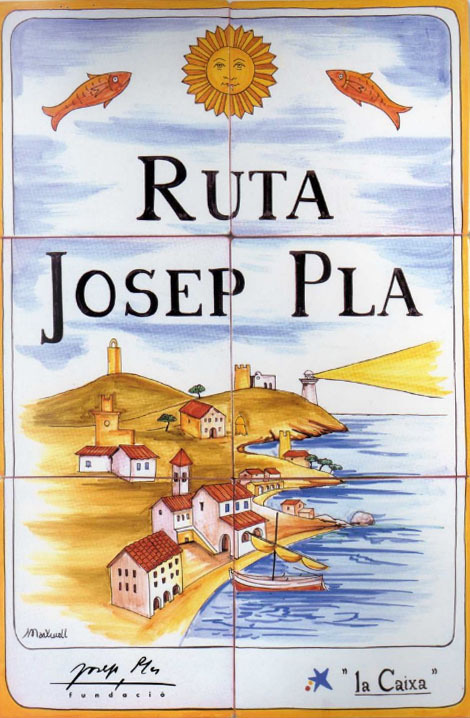 Josep Pla route is a tourist and cultural itinerary designed by Fundació Josep Pla (Josep Pla Foundation) in order to introduce the readers to the diverse places associated with the author in Palafrugell and the municipality. The route leads through the centre of the town: Josep Pla’s birthplace in Nou Street (currently the foundation head office), the house where he lived, Nova square- vital centre of the Palafrugell life even nowadays, and then continues along the seaside to the places that fascinated the author from the very first moment and did so for the rest of his life: Tamariu, Sant Sebastià, Llafranc, Calella… The route finishes at the Llofriu cemetery. Fundació Josep Pla (Josep Pla Foundation) also offers a variety of monographic literary routes that will give you a deeper insight into the history, the community and the landscape of our municipality depicted in the books. Please enquire about these new routes: Josep Pla Route in Palafrugell, Josep Pla Route in Calella, in Sant Sebastià, Pals, Tamariu and Llofriu. And if you are interested, the Josep Pla, cuisine and landscapes programme gives you the opportunity to taste a typical meal from the Empordà area right after the walk. Josep Pla. El meu país. OC VII, 679.